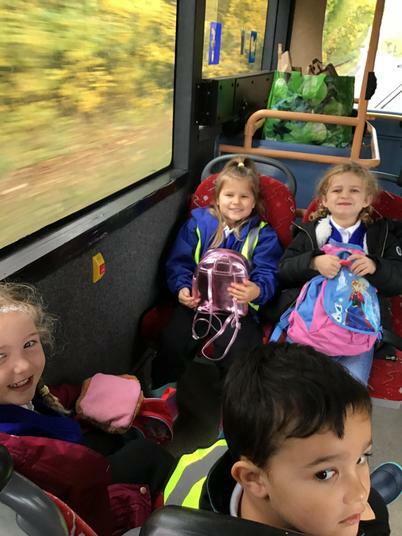 Excited chatter could be heard permeating from the Year R classrooms as the children prepared for their first school visit. 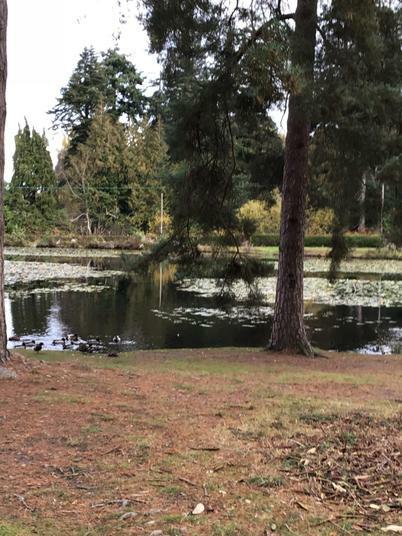 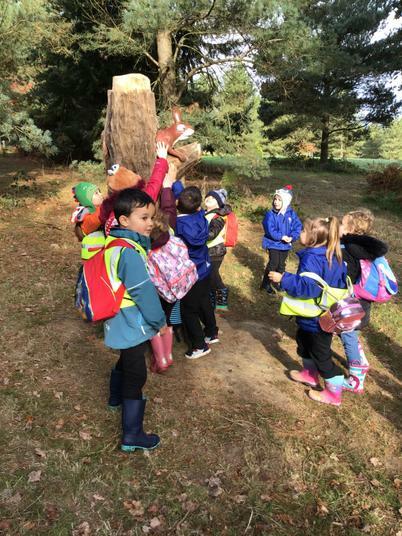 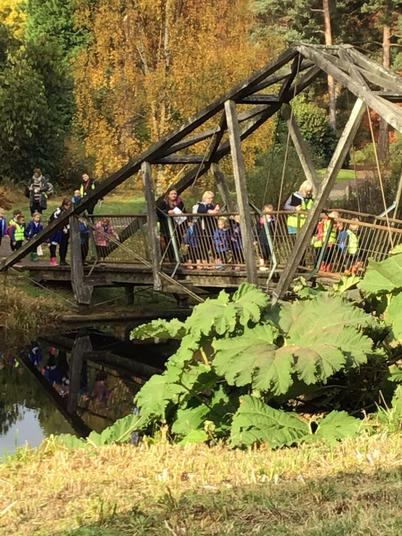 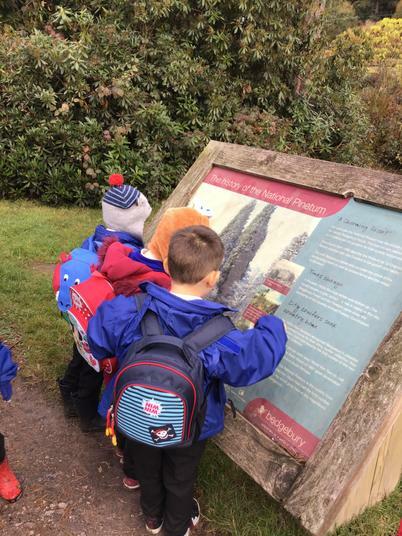 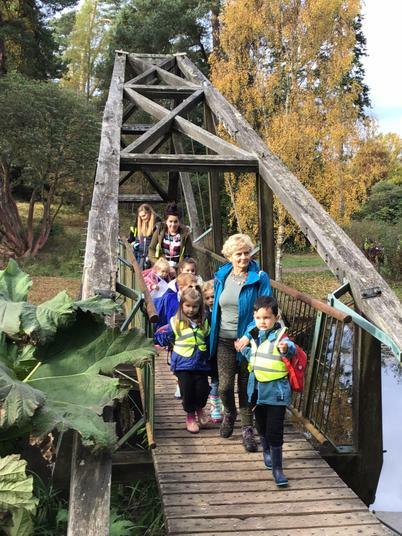 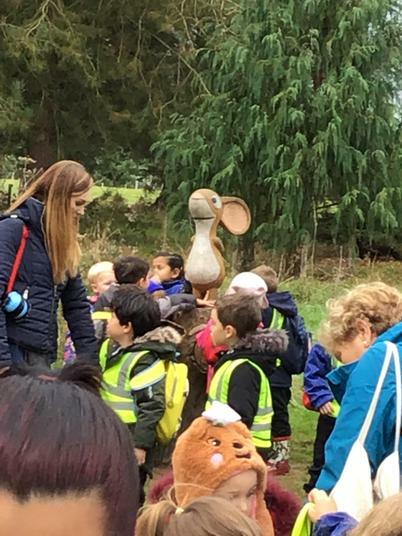 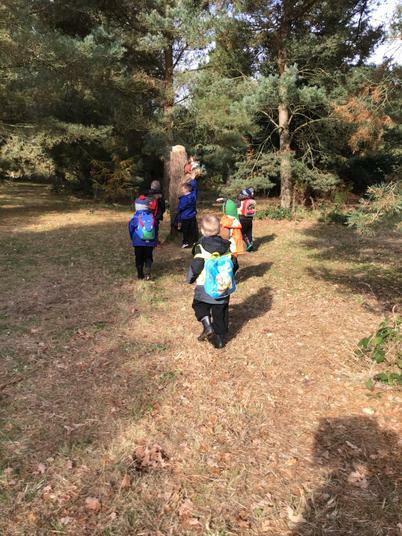 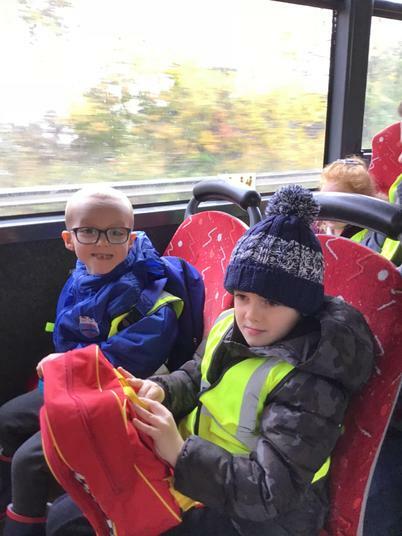 The children headed out to Bedgebury Pinetum where they took part in a variety of different events including the Ranger in the Bag activity. 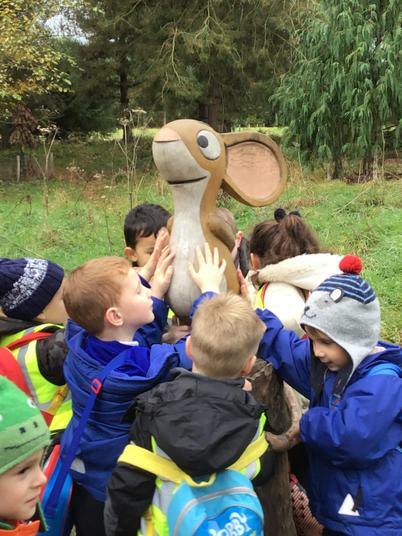 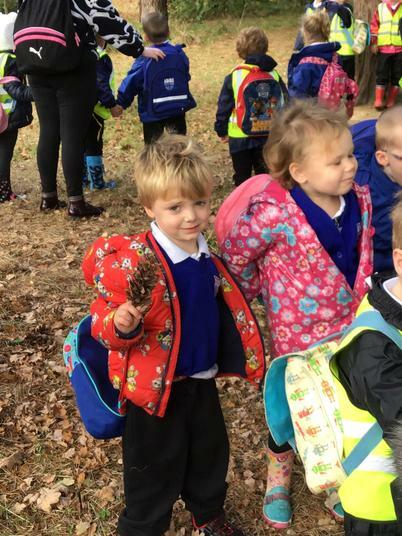 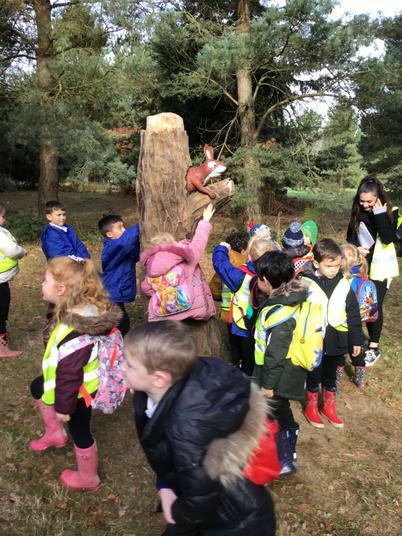 The children and adults enjoyed their extensive walk around the park and their tour from the ranger where they enjoyed discovering all about the different types of trees grown at Bedgebury and the wildlife which make Bedgebury their woodland home. 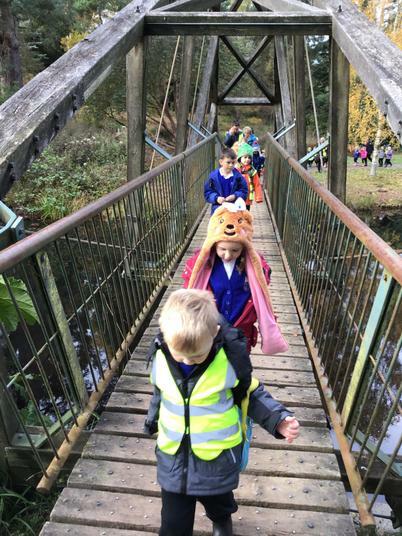 A trip to Bedgebury would not have been complete without exploration of the children’s play park and the children certainly made the most of this opportunity, showing off their bravery as they climbed up to the top of the crow’s nest. 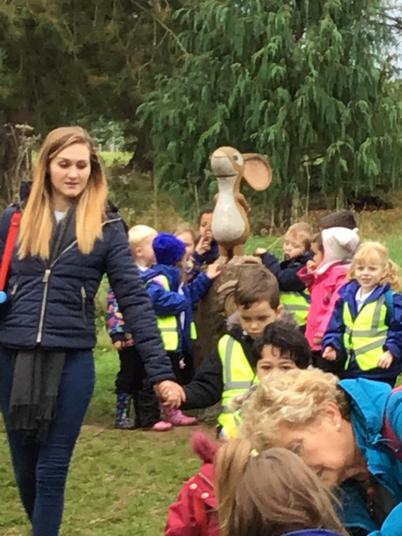 However the highlight of the day certainly was definitely discovering the Gruffalo.